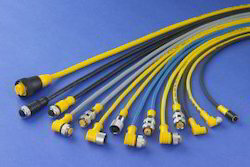 Our company is engaged in offering a comprehensive range of T8 Series Sensors. These products features EZ-BEAM technology, with specially designed optics and electronics for reliable sensing without adjustment, Ideal for presence sensing in small area previously accessible only to remote sensors and fiber optic cable, Features T-style plastic housing with 8 mm threaded lens, Can replace range-limited 8 mm threaded-mount inductive proximity sensors , Offers 10 to 30V dc supply voltage with NPN or PNP output, depending on model, Offers visible sensing beam for easy alignment, Available in dark- or light-operate models , Offered in opposed mode with 2 m range and diffuse mode with 50 or 100 mm range. 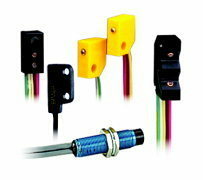 Looking for laser sensors ?